Turmeric is a perennial plant of the ginger family, and its mustard yellow powder is commonly used as a culinary spice in South Asia. However, Turmeric also has an active medicinal ingredient called Curcumin which has many anti-inflammatory, anti-oxidant, and anti-bacterial properties. The health benefits of Turmeric have been recognized by Chinese and Ayurvedic medicine for hundreds of years. It has been used to treat everyday problems such as indigestion and flatulence, as well as more serious problems such as arthritis, Alzheimer's disease, cancer, diabetes, HIV, high cholesterol, heartburn, jaundice, liver disorders, and menstrual disorders. Turmeric can also be applied topically in poultices to reduce inflammation and to relieve wounds, cuts, and bruises. Inflammation inside of the brain has been suspected to be one of the contributing factors in the development of Alzheimer's disease. Studies have shown that Turmeric has anti-inflammatory and anti-oxidant activity. Therefore, regular daily consumption of Turmeric capsules may be an effective way to prevent the onset of Alzheimer's. Due to its anti-inflammatory and pain-relieving properties, it is not surprising that Turmeric is now being used as an effective natural remedy for Arthritis pain. Therefore, taking 500mg to 1000mg Turmeric capsules three times per day may provide significant relief from osteoarthritis pain. Since turmeric is an anti-inflammatory, it can help reduce the inflammation associated with asthma. Add 1 teaspoon of turmeric powder to a glass of warm milk, and drink this mixture as an effective asthma home remedy. Several recent studies have found that Turmeric can induce apoptosis, a process that triggers the self-destruction and elimination of damaged (cancerous) cells. Further research is still required before the full effects of Turmeric on cancer cells can be determined. However, existing studies suggest that daily Turmeric powder or supplements combined with a balanced, nutritious diet may help prevent or even destroy cancer cells. Turmeric's anti-bacterial, anti-viral, and anti-fungal agents can help our body fight against colds, cough and flu. Therefore, when symptoms of these infections are present, simply mix one teaspoon of Turmeric powder into a glass of warm milk once per day. Also drink plenty of water throughout the day. Recent studies have shown that the antioxidant agents in Turmeric help reduce insulin resistance, which may prevent the onset of Type-2 Diabetes. Therefore, a simple preventive remedy is to take one teaspoon of turmeric powder twice a day with meals. 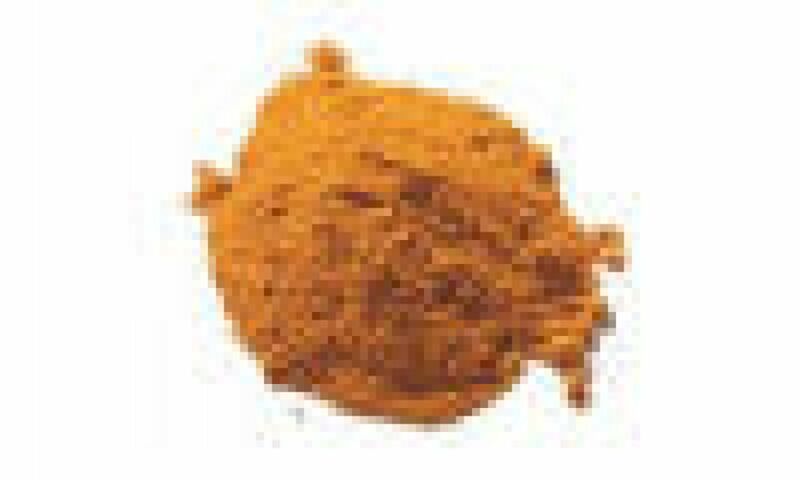 Curcumin extracts or capsules can also be used as an alternative to the powder. Turmeric's key ingredient Curcumin is known for its anti-bacterial and anti-inflammatory properties. Therefore, Turmeric powder can help in healing cuts, wounds, and other skin infections including boils. Heat one cup of Flax Seed Oil in a small saucepan on the stove. Thinly slice a small onion and add it to the hot oil. Fry the onions until they are dark brown and crunchy. Remove the brown onions and mix 2 tablespoons of Turmeric powder into the oil. Turn off the stove and let the oil cool down to a temperature that is comfortable to touch. Using a cotton swab, apply a small amount of the oil onto the injured or infected skin area. Apply this three times per day until the wound or infection is cured. Save the remaining oil into an airtight container for future use. For internal injuries, fractures, sprains, and herniated disks, dip a piece of unbleached cotton fabric into the warm Turmeric oil. The fabric or cotton pad should be large enough to cover the outer skin of the affected area. Secure it in place and leave this cotton pad on overnight. You can also add one teaspoon of turmeric powder into a warm glass of milk and drink it before going to bed to prevent internal inflammation and infections. Curcumin in Turmeric powder has been found to help increase the flow of bile, an important component in the breakdown of dietary fat. Therefore, taking one teaspoon of Turmeric powder with every meal may be an effective weight loss aid when combined with a healthy diet and exercise program. Moderate use of Turmeric powder as part of regular diet is fairly safe, and recent studies have found that a dosage of 500mg capsules of Turmeric three times per day is safe. However, prolonged consumption of high doses of Turmeric extract may cause stomach or liver distress, as well as dehydration and constipation. Therefore, it should be avoided by people with gallstones or bile obstructions. If you are currently taking blood thinners (including Aspirin), you should consult your doctor before taking Turmeric since it is an anti-platelet (prevents blood clots). Turmeric powder can be purchased at many Indian/Pakistani grocery stores. However, Curcumin concentrations can be up to 18 times higher in capsules and tablets compared to powdered Turmeric spice. Therefore, Turmeric supplements which can be found in many natural or health food stores are recommended for maximal health benefits. Leocina Lindo, Turmeric is known for its anti-inflammatory, anti-oxidant and anti-bacterial properties. Taking one Turmeric capsule daily and applying Turmeric poultice topically have shown to heal many types of skin infections and ulcers. Please look above under "Inflammation" for an effective healing oil remedy using Turmeric for wounds, and ulcers. I have an ulcer wound for three years on my right ankle. Will Turmeric help me? Please reply back to me. Thank you. I'm in Papua New Guinea. Would it be possible to buy Turmeric powder at any pharmacy shops? Curcumin in Turmeric has the ability to promote longevity since it helps with premature aging, oxidation and inflammation. Turmeric has the same properties as Aspirin (ASA). It has significant anti-inflammatory properties as well and is a cox2 inhibitor. Taking 1-2 grams up to 3 times/daily is well within safe guidelines. Works very well with powdered ginger (3 grams) per dose as above. I also use a pinch of fresh ground black pepper in this mix to enhance absorption. No need for ASA (aspirin) if using Turmeric as described. One can gently heat Flax Seed Oil up to 112F - gently is the key. using a double boiler is best. I don't think we're supposed to heat flax seed oil, it goes bad. I'm not sure if it is the right choice for this receipe. I would try Grape Seed Oil instead. My fingure is very stiff with rheumatism, can I use turmeric capsules. After 1 year of using turmeric and water once a day, my dads prostate levels, blood sugar and cholesterol levels have normalized. Hello, I take medication for joint pain. Can I take Haldi/Turmeric milk to cure my joint pain?